While the driver receives all the attention, the Pit crew are the unsung heroes of racing! Their precisely timed teamwork during a pit stop is the key to victory! 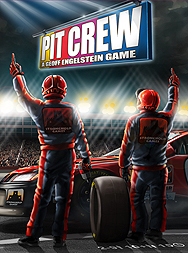 Pit Crew Is a real-time game where up to 3 teams must work together to get their race car back onto the track as fast as possible. Will you be part of the winning Pit Crew?